Strike up a conversation about foreign film with most American film buffs, and the discussion will almost certainly travel East, over the Atlantic, on a European course. Those buffs with enough wind in them might even reach the Middle East and parts of Asia, but few take the detour south to Africa. It’s a bias that I suspect many filmgoers don’t even realize they have, but one that keeps some great films from finding an audience. First up is Gadjigo’s own film (directed with Jason Silverman) Sembene!, screening Thursday, Nov. 10, at 7 p.m. Gadjigo, a professor of French at Mount Holyoke College, in South Hadley, in addition to being Sembene’s colleague and biographer, will be on hand in Amherst to discuss his film. Gadjigo pulls from archival footage and his own memories of Sembene to tell the story of the artist: a fifth-grade dropout who traveled from Senegal to France and who would eventually become a dockworker before finding his first calling in social realist literature. Sembene’s early novels focused on issues of racism, immigration, and the effects of economic disparity, but he would come to feel that his literary works were unlikely to reach the audience with whom he most wanted to connect. 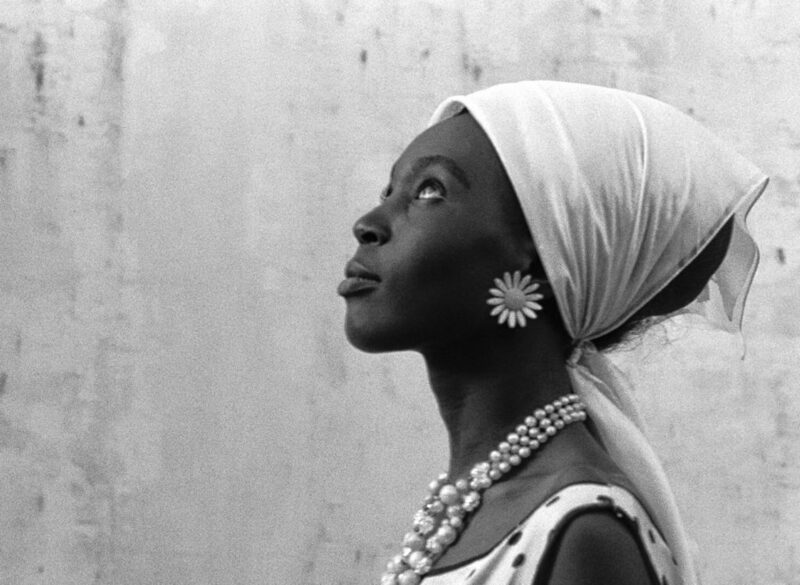 For that, Sembene turned to film, beginning with his 1966 feature debut Black Girl, which screens at Amherst — again introduced by Gadjigo — on Monday, Nov. 14, 7 p.m. An unblinking critique of colonialism, it stars Mbissine Thérèse Diop as Diouana, a poor woman from Senegal who finds work caring for the children of a French couple in Dakar. But her initial excitement turns into something far less hopeful once the couple invites her to come work for them in France. There, Diouana finds herself a prisoner in their home, cooking and cleaning for the couple and their wealthy friends, one of whom imposes himself on her at a dinner, asking, “Do you mind? I’ve never kissed a black woman,” as though that was all the justification needed for his assault. After that, and all that comes with it, Sembene’s conclusion is both harrowing and inescapable, the single desperate path left open for a trapped and wounded woman. It was a story that changed the face of African cinema, and one that continues to resonate today. Screening with it is Sembene’s 1963 short Borom Sarret, about an impoverished cart driver trying to carve out a living in Dakar. Also this week: On Monday night at 7 p.m., Cinemark Theaters from Hadley to Enfield will be presenting a one-night only screening of a long-missing Doctor Who serial. Originally aired in 1966, but lost during an archive purge in the 1970s, The Power of the Daleks has long been considered a holy grail in the sci-fi community. And to be fair, that particular grail remains elusive; instead, like the regenerative Doctor himself — the current Doctor Who is the twelfth — the six-part story has been reconstructed from old stills, audio recordings, and film clips, becoming something that is both familiar and wholly its own. The result is an animated film created by the BBC, shown in black and white as its predecessor was seen, that aims to reconstruct the missing episodes, and to recapture the magic of a story that has gone unseen for so long. For Whovians — who continue to lament the loss of dozens of other episodes from the BBC vaults — this could prove the beginning of a wonderful new direction in preserving Who history.